Request A Quote or call us at 800-637-3326. 5-digit 1.5″ LCD display with remote control. Features include weight hold, totalizing, 100% tare, 125% safe and 400% ultimate overload ratings. 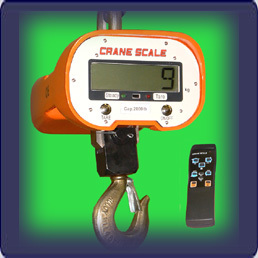 This low cost crane scale is loaded with value.